Bluestone Quarry, Mill | Johnston & Rhodes Bluestone, Co. | East Branch, NY | Johnston & Rhodes Bluestone Co.
Elk Brook Bluestone is mined from our private block quarries, which produce material of exceptional quality and durability. 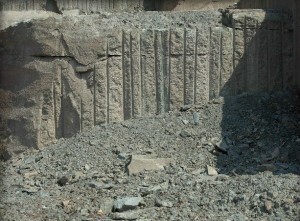 Though the quarrying process is difficult and expensive, it is invaluable in keeping the supply of quality bluestone to our mill continuous and intact. 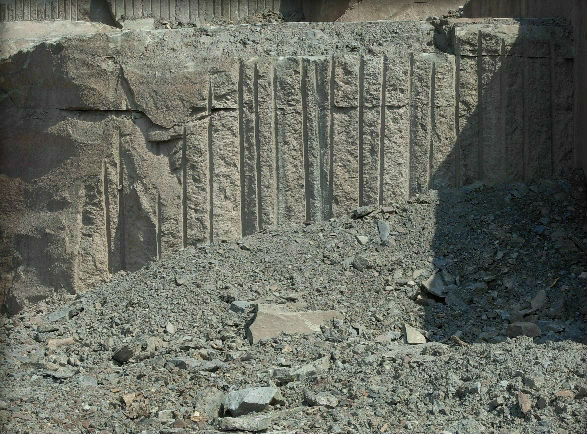 Extracting large blocks requires a combination of excavating, drilling, and blasting executed in expert fashion to avoid damaging the stone. Once extracted, the blocks are shipped to our facility in East Branch, NY for cutting and finishing. Johnston & Rhodes values the environment and adheres to “green” quarrying practices. We use nearly 100% of all waste stone, we reclaim and reseed exhausted mining sites, and develop multi-purpose recycled/renewable energy projects from previously minded areas. 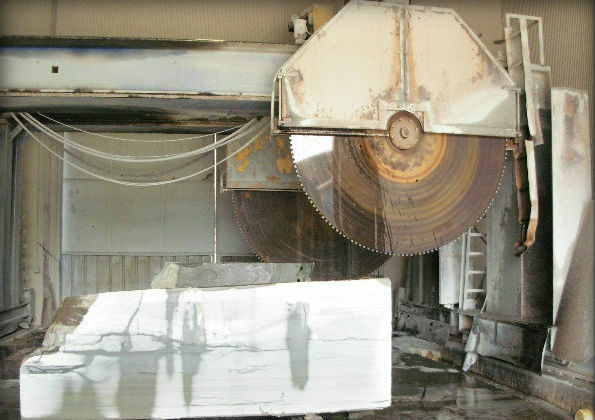 Our large diamond circular saws work around the clock, slicing stone blocks into slabs of varying thickness. Slabs are then finished or cut further and processed in one of the mills. Once the stone is completed to specifications, it is inspected for quality, palletized, documented, and secured with steel banding. It can then be safely loaded onto a truck or into a container for shipment.